Comply SteriGage, manufactured by 3M, is a Class 5 Integrator for use in determining whether the sterilization process conditions were met inside each pack. This can be used in all steam sterilizers. This integrator is easy-to-read, which ensures a higher reading accuracy compared to other integrators. Can be used in all 250 - 275°F steam sterilization cycles. Confirmed by BSI, a leading global independent product testing service company, to meet the performance requirements of ANSI/AAMI/ISO 11140-1:2005 Class 5. Moving front ink technology provides easy to red "Accept or Reject" result. 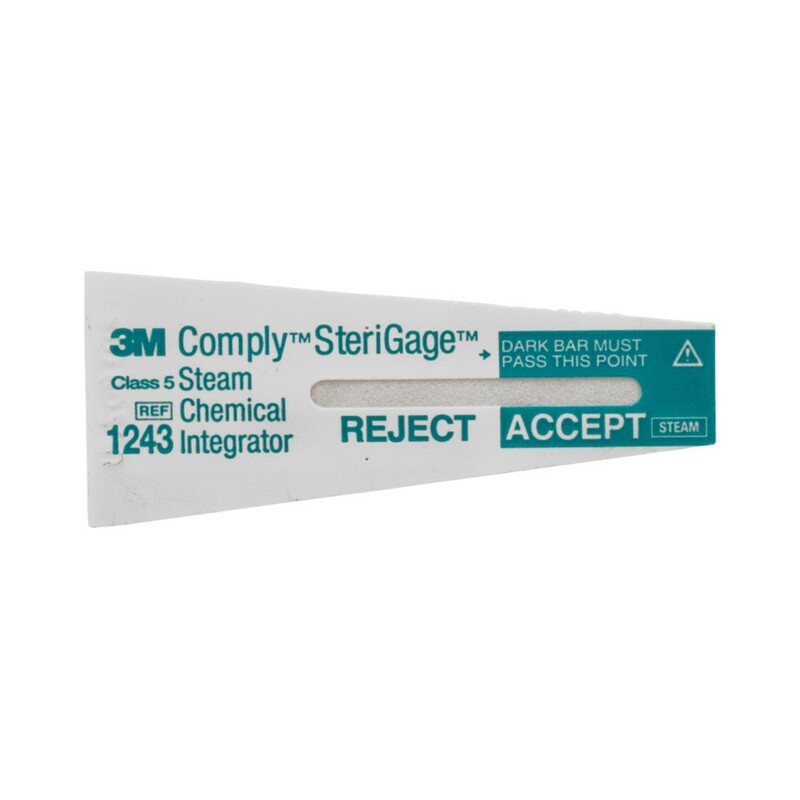 Response correlates with a Biological Indicator at 3 time/temperature relationships under ideal steam sterilization conditions. Application: For use as an internal pack monitor in all 250 - 275°F steam sterilization processes.